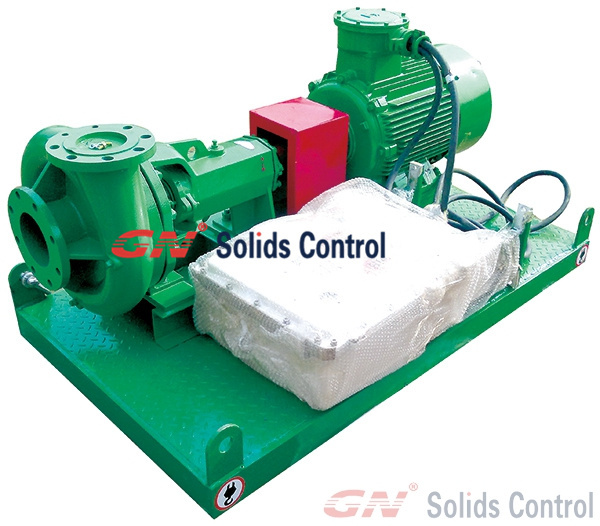 GN Solids Control is China good brand of solids control equipment supplier. And each month we export lots of solids control equipment or mud system to overseas client and domestic clients. Recently our warehouse is crowded because of some project equipment ready for delivery. 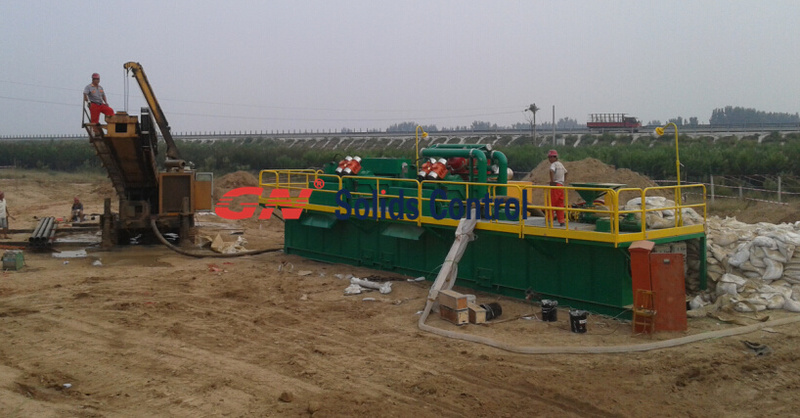 The client bought this agitator is GN old client who already bought 2 sets 500gpm compact mud system for HDD drilling. They are really happy about the high quality of mud system and the premium working performance of the mud system. 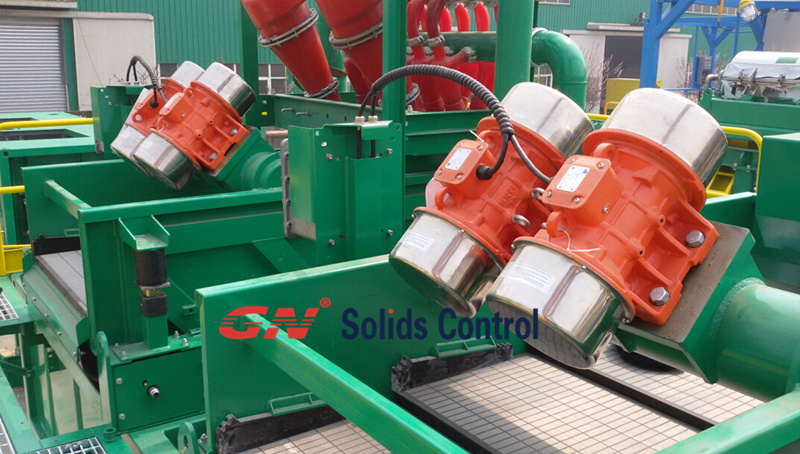 The 500gpm mud system is equipped with 4 panel shale shaker and 4 panel mud cleaner. The shaker screen is composite material shaker screen with much better working performance, longer lifetime and less maintenance. Actually, this client also bought one sets 200gpm mud system in year of 2013 for Dubai project. The shale shaker is to update the mud system the client already have for over 2 years. The client buy 2 sets new shale shaker to update their old mud system and this is relative lower cost to ongoing the new project. Because of the down market, many clients want to deduct budget, save cost and do more project. We recommend client to renew the mud system with new equipment, new shaker, new centrifugal pump, new mud cleaner and new agitator. Generally, the mud tanks can last longer time if the daily maintenance is doing each time after use. Nigeria is rich of oil resources and we have lots of clients from Nigeria who bought centrifuge , vertical cuttings dryer, shale shaker, shaker screen etc. from our company. Recently, we got some small order from Nigeria who wants to replace their old centrifugal pumps. And we sell some sets centrifugal pump and agitator to them.